Designed by G.A Design of London, the same team that delivered Conrad Tokyo, The Strings by Intercontinental Tokyo is a five star hotel that occupies levels 26 – 32 in the 32-storey modern office building, Shinagawa East One Tower. Private Airport Transfer is horrendously expensive in Tokyo, particularly if you’re coming from Narita International Airport (成田国際空港), which is at least an hour away to most places. That’s why we chose to take the N’EX (Narita Express) which stops at Shinagawa Station (品川駅) and is moments to the hotel. The ride takes slightly over an hour (~86 km). Upon arrival, you need to find and turn right at the Konan Exit (港南口出口) which wouldn’t be too difficult if there wasn’t so many people! 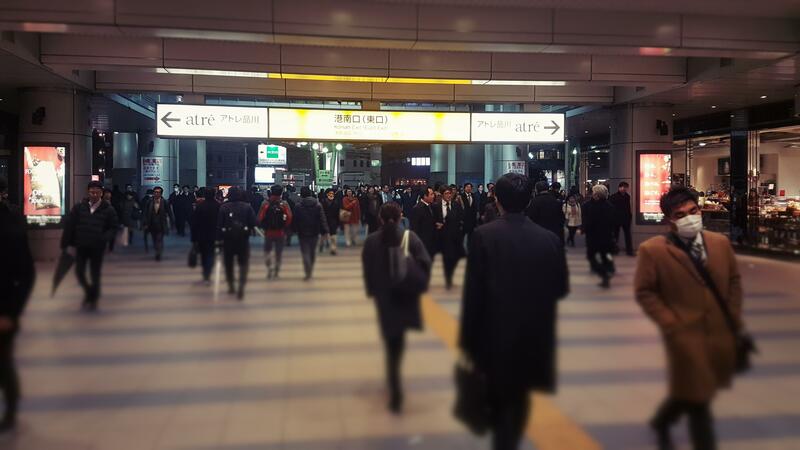 Shinagawa is really a business district, and as we arrived just around home time, the station was packed, making it hard to find your way against traffic whilst lugging luggage and a child. On hindsight, it would’ve been easier taking the Airport Limousine bus, copping the bill for private transfer or fly in from Haneda Airport (羽田空港) which is only 15 km away (20 minutes by train). The hotel reception is located on level 26 and opens out into an extremely spacious lobby thanks to the seven floor (27 m) high central atrium. We were given hot towels on arrival and check-in was a breeze. I had emailed concierge to prearrange tickets to ‘Mickey & Co’ at Tokyo Disneyland a month prior and this was promptly handed to me along with the local data sim cards I had bought online and shipped to the hotel. As we were travelling in a small group, I had booked two rooms and the hotel was very accommodating in providing us two rooms in close proximity on the top floor. Little R loved the glass enclosed lifts which overlooked the beautiful hotel atrium. Our Deluxe Room at 32 sqm was quite large by Tokyo standards, though Conrad Tokyo was even bigger, and had everything you’d expect plus a Bose Soundlink Bluetooth speaker! I wouldn’t call the bathroom spacious but the bath & shower dual was massive which made it really easy to bath Mr R. And like all luxury Japanese (and Korean) hotels, you get the smart toilet seats which really should be installed in all households. Who doesn’t like a heated seat that opens/closes by sensor and washes itself and you too! Large windows offer an expansive view out onto Shinagawa and beyond. From above, you really see how mammoth a structure Shinagawa Station is. Several lines connect through the station, including the Tokaido Shinkansen (東海道新幹線) bullet train to Osaka, and the JR Yamanote Line (山手線) which is one of Tokyo’s busiest lines connecting to most major stations. Unfortunately there is no pool nor spa at this property but there is a small 24/7 gym. Predominately a business district, there are a few shops around and inside the station, and plenty of convenience stores and restaurants close by. We had dinner twice in Shinagawa and it was hard to miss the number of men in suits, female was definitely a minority and children were non-existent. Not that this was an issue but probably representative of the Japanese working culture. 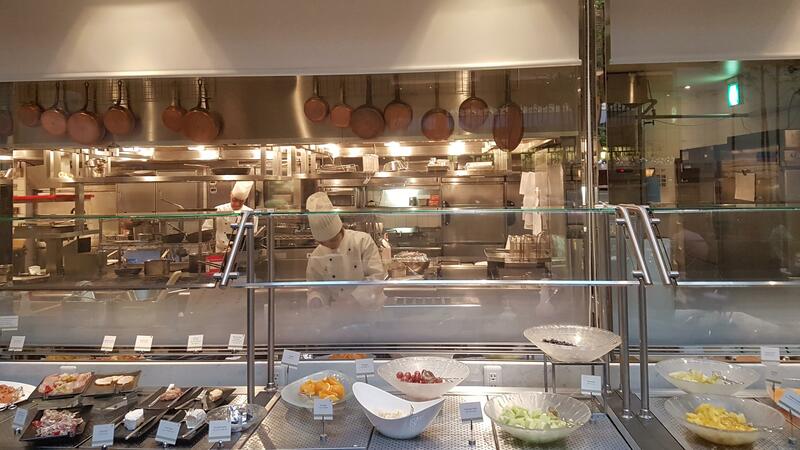 Breakfast is served buffet style at The Dining Room on level 26 with a good spread of international options. 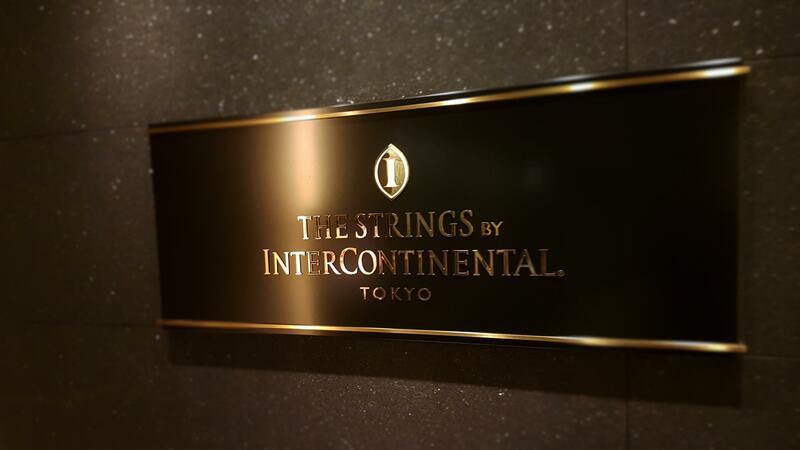 Overall, we really enjoyed our stay at The Strings by Intercontinental, its connectivity is second to none and service was impeccable.